Whether you are a freelancer, or your job offers an option to work from home, you need to plan the layout of your home office. This means you must seriously consider some relevant factors. You may plan to just have a small corner for yourself in one part of your living room. Or you might have a whole room for your home office space. Regardless of how much space you have, you need to carefully consider the layout to make the most of it. It needs to be comfortable. And it needs to be inviting enough for you to be able to spend hours at a time there. So if you are ready to start planning, here are some guidelines for you to consider. Where should you locate your home office? If you live in a small apartment and you don’t have much choice, you will place your home office wherever it can fit. There are ways to make it work, you just need to be creative. Provide enough light if your office corner is too dark. You don’t want to be sleepy at work! Try to add some details so you can feel like you are at work, all the while not leaving your living room. However, if you live in a house or a large home and have an entire room to spare, you can plan the layout of your home office with ease. Use natural lighting to place your desk in the right position. Add details and furniture to have a comfortable, but yet a serious feel. Also, when choosing the place within the household for a home office, think about where the most convenient spot is for you. Depending on your daily activities, it might be the kitchen or even the front porch. Having a home office sounds simple enough. But in order to make it work, sometimes you need to relocate some furniture around the house. A home office can often require the space you don’t have. This is especially the case if you have a large and bulky object such as piano. You’ll probably need to move it somewhere in order to make some extra space. But by all means, do not attempt to do it yourself! If you need your piano moved, call experienced piano movers NYC. 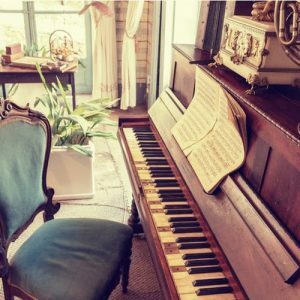 You need actions such as piano moving to be done by professionals. And this applies to any other bulky item around the house. 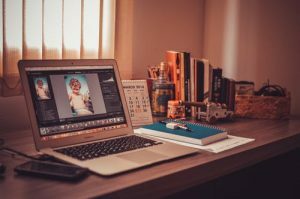 You need to focus on how you are going to plan the layout of your home office once the bulky stuff is out of your way. Yes, furniture and a computer are essential, but your home office needs to get a personal touch as well. Cheer up your space with a pot of flowers or a framed photo. You could match your home office with the rest of your house or make it pop out. Whatever feels most suitable to you can be done. That’s the perk of having a home office after all! Does your job require you to meet with clients? It might sound quite complicated, but it can be done. You can arrange meetings with your clients even though you work from home. Choosing a separate room with a suitable table and chairs would be ideal. However, if you cannot provide these conditions, you can still make it work. Plan the layout of your home office in a way that makes room for a few extra chairs. This way you can meet your clients in an arranged space. This is definitely more professional than setting up improvised seating after the clients arrive. If you have an extra room with furniture you don’t really need, you can use storage Brooklyn and store it all away. This way you can make room for meeting with your clients. Don’t be concerned if all of this sounds rather complex. Setting up an office space is not easy. Especially when you are trying to plan the layout of your home office. If you have a special room that can be used for this purpose, then you’re in luck. But if you don’t, do not let it stop you. You can create your home office from virtually any part of your home. So whether it is the kitchen, bedroom or living room, you can make it work. Be creative and nothing can stop you.